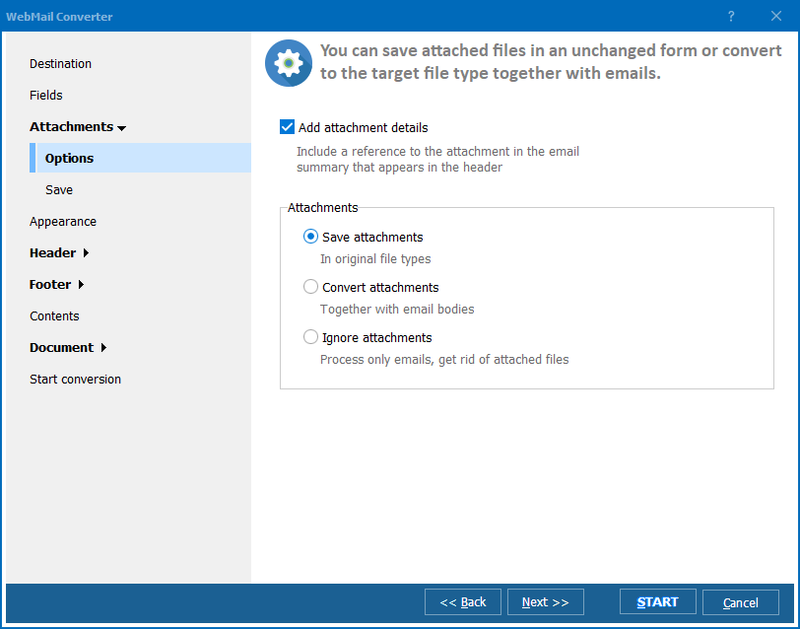 How to save Emails from Outlook.com as JPEG? You are here: CoolUtils > Total WebMail Converter > How to save Emails from Outlook.com as JPEG? Creating image copies of emails from online storage seems rather complicated task. 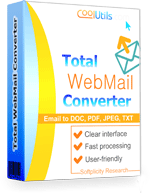 It becomes easy with Total WebMail Converter. This program supports various online mail services, including Outlook.com. 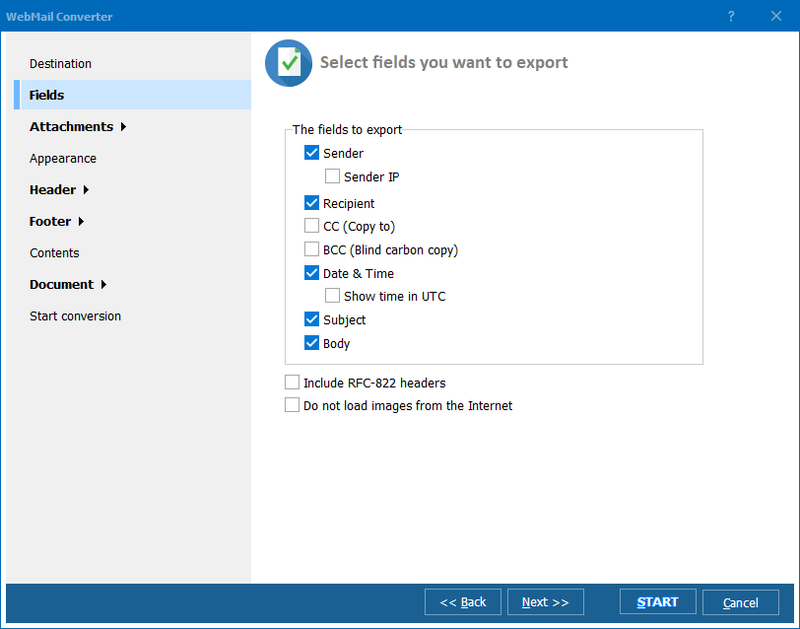 With its help you can export emails from www.Outlook.com to JPEG, TIFF, PDF, RTF and a lot of other formats. Image copies are adjustable, you can adapt them for your needs automatically. You can connect as many virtual mailboxes to Total WebMail Converter, as you have. Set address and password only once, and it will automatically connect and synchronize with mail server each time you access the program. you can run a bat file with configuration for message export from the command line. A bat file is generated in the settings wizard based on the settings you've made. You can just save this configuration for future conversions. Available parameters include JPEG quality, header and footer content, attachments processing options, selecting fields for conversion. You can convert Outlook.com emails into one single JPEG image or create a separate JPEG file for each message. Being a batch converter, the program can work with any number of emails at once. You have ability to name JPEG copies according to the template. The template can contain date, email ID and other info for comfortable files sorting. Do not worry about attachments. This email converter will carefully send them or export to JPEG depending on the type: aSttached mail history will be converted to JPEG, attached images can be inserted right into mail JPEG copy or saved in their native format. 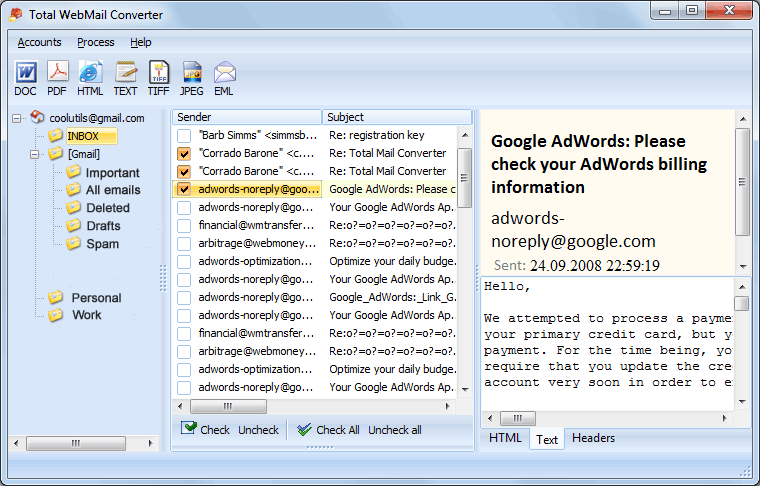 Total WebMail Converter is available for trial use, being a shareware program. Try it for free during 30 days, it will show you all the advantages in action.